Open in SF is a new initiative of the Office of Economic and Workforce Development (OEWD) piloted by Mayor Ed Lee with the support of Supervisor Katy Tang. The program improves service for small food businesses through the permitting process. The Program is an initiative supported by partners in OEWD, Office of Small Business, Planning Department, Department of Building Inspection, Department of Public Health, Fire and Police Departments, Department of Public Works, Public Utilities Commission, Department of Environment, Treasurer and Tax Collector’s Office, Entertainment Commission, and Office of the Assessor-Recorder. Small businesses contribute to San Francisco’s economy, employment, and vibrancy. Food businesses in particular are at the core of San Francisco’s cultural identity, as well as the tourist and entertainment sectors. In 2010, San Francisco restaurants hosted over 64 million paying customers and generated 42,000 jobs, according to the Office of the Controller. These restaurants generated $3.2 billion in consumer spending and $30 million in sales tax annually for the City in 2010. And the sector continues to grow: in the third quarter of 2014, 4,748 food and drinking establishments generated $1.1 billion in taxable sales for that quarter alone, according to the Board of Equalization. To establish small businesses, owners must navigate a complex permit process through various departments. Permitting for restaurant and food businesses is especially complex, requiring up to 24 permits from 11 city departments and 3 state or federal departments. Your idea. Your food business. Open here. Participants will gain assistance to move effectively towards project completion. Learn more by contacting Open@sfgov.org or 415-554-6122. Jumpstart your path to success: explore the Restaurant Starter Kit on the San Francisco Businesses Portal and see what it takes to get started. 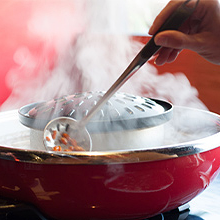 Whether you dream of opening a pizzeria, salad bar, or dumpling house, get the key ingredients to launching a food service establishment with a full kitchen. The Starter Kit includes relevant permits, resources, and guides developed to help you bring your food business idea to fruition. What is the Open in SF program? The Open in SF program is a new initiative of the Office of Economic and Workforce Development (OEWD). The program aims to improve the level of service for small food businesses through the permitting process. The program is an initiative supported by partners in OEWD, the Office of Small Business, the Planning Department, the Department of Building Inspection, the Department of Public Health, and other departments involved in the permitting process. How do I learn about the Open in SF Program services? E-mail us at Open@sfgov.org or call 415-554-6122. Where can I find more information online about the permitting process? 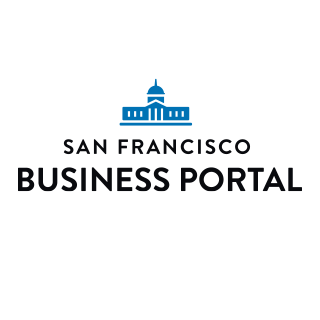 The San Francisco Business Portal is our City’s primary online business resource. With comprehensive information and tailored tools, the Portal helps you navigate the steps to start, manage, and grow a business, learn what it takes to be compliant, and obtain resources along the way. The Business Portal has detailed guides, information about each license and permit, and links to resources at other City departments. Answers to Frequently Asked Questions about the Business Portal and starting a business are available here. How does the Open in SF Program make opening a food/beverage business easier? The Open in SF Program provides information about permitting requirements, evaluates businesses’ needs, and provides technical assistance in the permitting process. A case manager is available to coordinate City departments, services, and resources. Applicants will work with a single point of contact to better understand the variables and approximate timelines. Through these services, applicants learn about applicable permits and processes, allowing them to move effectively towards project completion and avoid potential pitfalls. 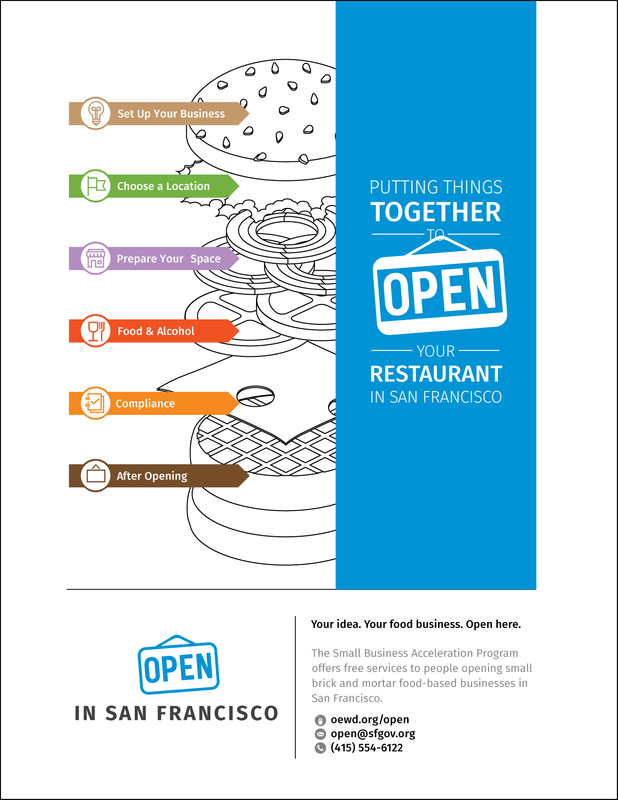 Why is the Open in SF Program just for food/beverage businesses? The Open in SF Program is in a pilot phase. The pilot phase focuses on food-based businesses given the permitting complexity inherent to these types of small businesses. Do I have to pay for Open in SF services? There is no cost for services provided by the Open in SF Program.